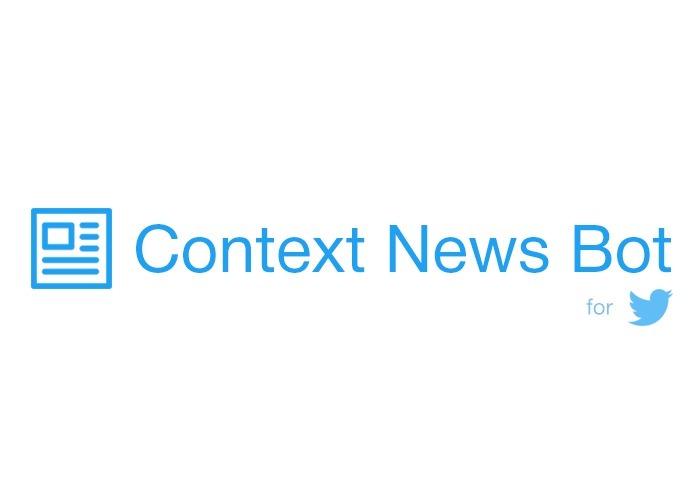 tl;dr Context News Bot is a Chrome extension that allows you to step out of your filter bubble by providing a diverse set of news articles and objective Wikipedia entries for any tweet on your Twitter timeline. Social media algorithms are built for engagement & likes, not perspective, and we aim to fix that with Context News Bot. We’ve all been in never-ending arguments with friends and family on critical issues like politics, international events or religion in the past. In recent years, however, we see a trend in people blindly trusting ‘facts’ they learnt from a video they saw last morning on WhatsApp or tweets by an influential person. This epidemic is especially prominent in people who grew up before the information age of computers and have never had to question the credibility of news sources in the past. The inability of people to create an internal filter against their own bias has caused the proliferation of false (or somewhat false) information to plague modern society and is slowly leading us to a world with only polarizing opinions. Today's modern discovery algorithms trap us in our ‘filter bubbles' by giving us content that agrees with our inherent biases regardless of whether these biases are grounded in reality. We built a Machine Learning based web API that allows users to fact-check any content on social media and gain a broader perspective on news items and events. The service helps get rid of inherent biases by understanding the semantics of content and suggesting related news articles and Wikipedia entries that aim to give an objective and global perspective. Our Natural Language Processing pipeline performs entity and topic extraction from tweets to search for news articles from reliable sources and discover Wikipedia articles. 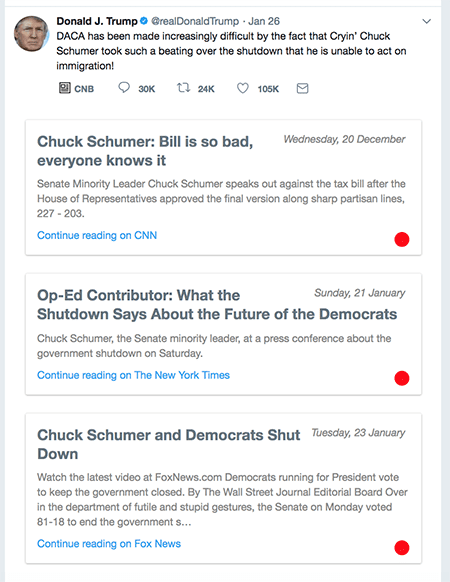 We combine this information with sentiment analysis signals for the tweet as well as the news articles to select articles which have a different perspective from the tweet. Our service was seamlessly integrated into Twitter’s user interface to build an intuitive proof of concept. The tech stack consists of a Chrome extension (to scrape the tweet and add the context panel), a Flask server that communicates with the Twitter API, a news search API & a custom Natural Language Processing pipeline built on top of the Google Cloud API. We calculate the final ‘scores’ for the news articles based on our own heuristic-based feature engineering combined with deep neural networks from Google’s API. We embedded our service into the Twitter UI as a button which was designed to blend into Twitter’s UI and be intuitive to use for a regular user. Upon clicking the CNB button, beautiful and informative news cards will drop down under the selected tweet, showing relevant news articles and Wikipedia entries, along with a polarity meter to show agreement/disagreement with the tweet. 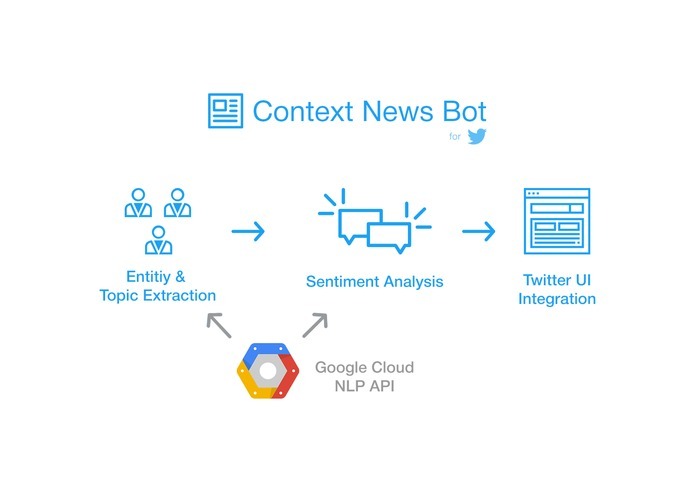 Context News Bot has been built in a manner that makes it extensible to be used on other social networks and news websites. The creation of a generic framework for objectivity detection is also an active area of research. Better pre-processing and custom Machine Learning models built for the task at hand would make the system run more efficiently and with an even higher accuracy. 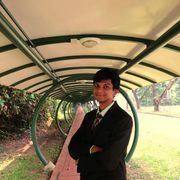 I worked on the back-end NLP pipeline (built on top of Google Cloud Natural Language API), Twitter API & Chrome Extension.